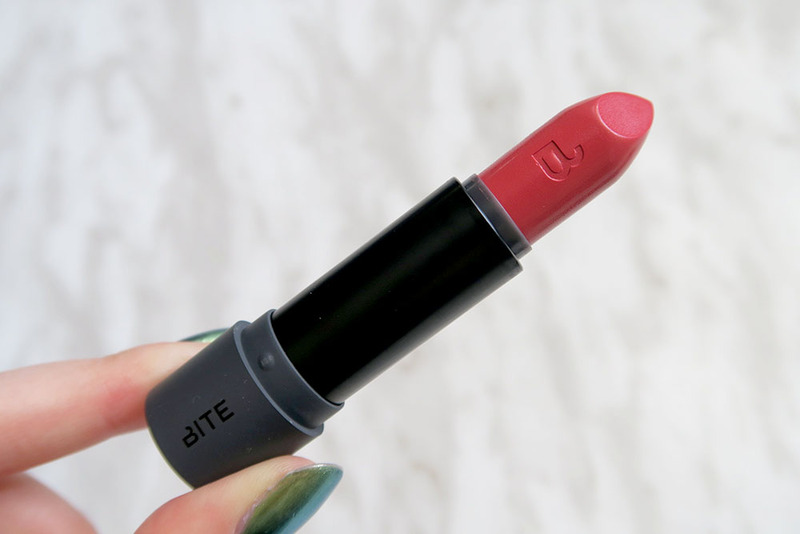 Ever since the Amuse Bouche formula lauched as part of Bite’s mega overhaul and reformulation of the Luminous Creme line, I’ve been lusting. Lusting haaaard. So many wonderful colours, such difficult decisions! I had $40 left on a gift card and decided the pick it up during the VIB sale – the 15% off ended up coming to about $28. Still a lot for a lipstick, but spoiler alert I’m in love! About two days after I picked up Sweet Cream, I went back and got Gingersnap. They are two very similar colours, but look slightly different when swatched! Why would I get two very similar shades, you may ask? I’m super unadventurous with lipsticks – the wildest I’ll go is a cool toned mauve (KVD Lovecraft.) 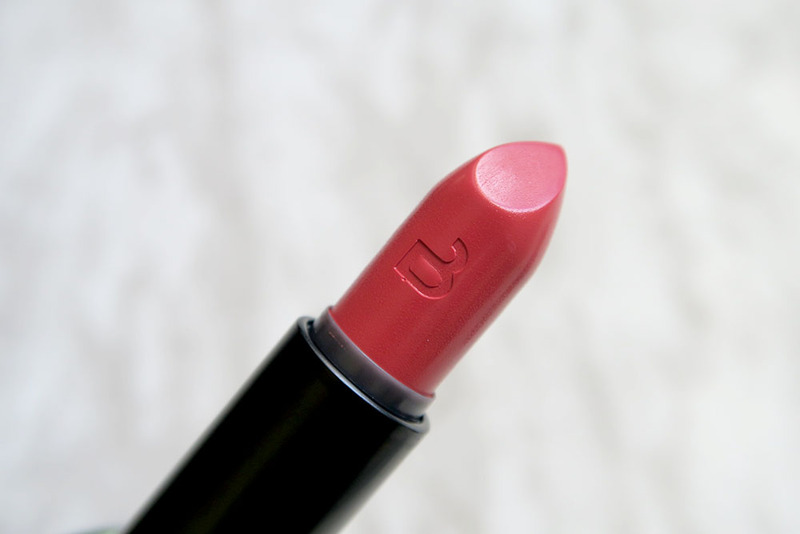 I love my peaches and corals and pink nudes and warm mauves, and as much as I try to push my lip boundaries, I always come back to the safe sides. I figured there was no point in spending $30 on a lipstick shade that I wouldn’t get full value from. Can we just take a moment to talk about the packaging? So simple and chiq and the typography and colour palette and ahhhhhhhhh!!!! 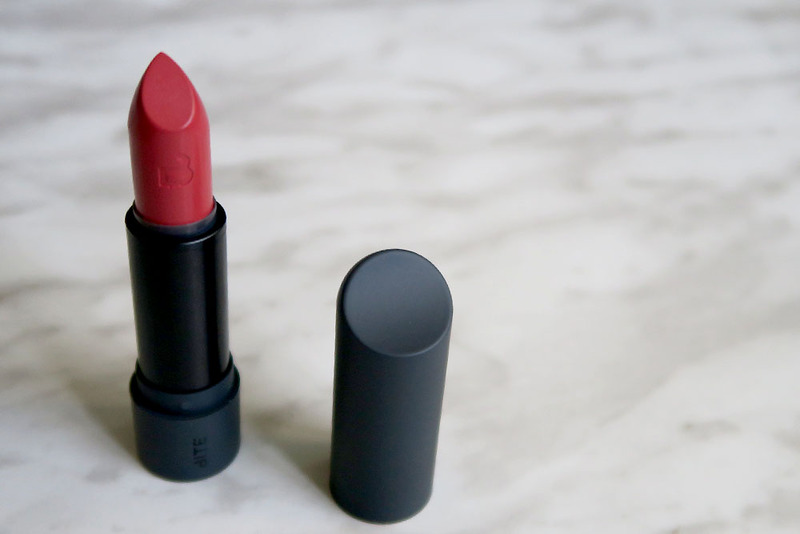 The lipstick comes in a simple cardboard box with a colourful and lippy sleeve. The bullet itself is rubbery with a slanted cap and will forever bother that twinge of OCD because dust sticks to the rubber. If you’re like me, you’re probably at the loss at the huge colour selection! Which Amuse Bouche do I pick? Oh girl, I feel ya – I had a bit of a difficult time picking a shade. 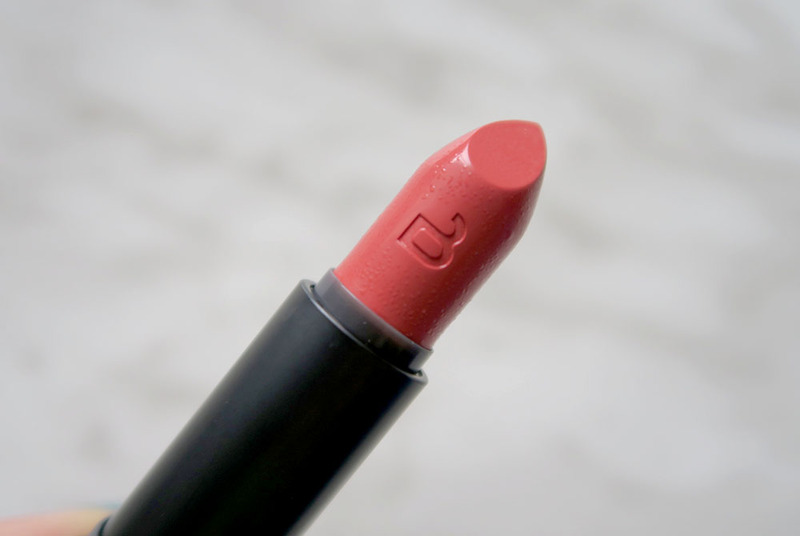 I knew I wanted an orange toned lip because they suit me the best, so it came down to Gingersnap (fresh peach – light orange toned), or Sweet Cream (muted peach – runs more of a red-tone). I fell in love with both shades, but I don’t have any deeper orange-reds at the moment and thought it would be a nicer, safer, deeper pop of colour. 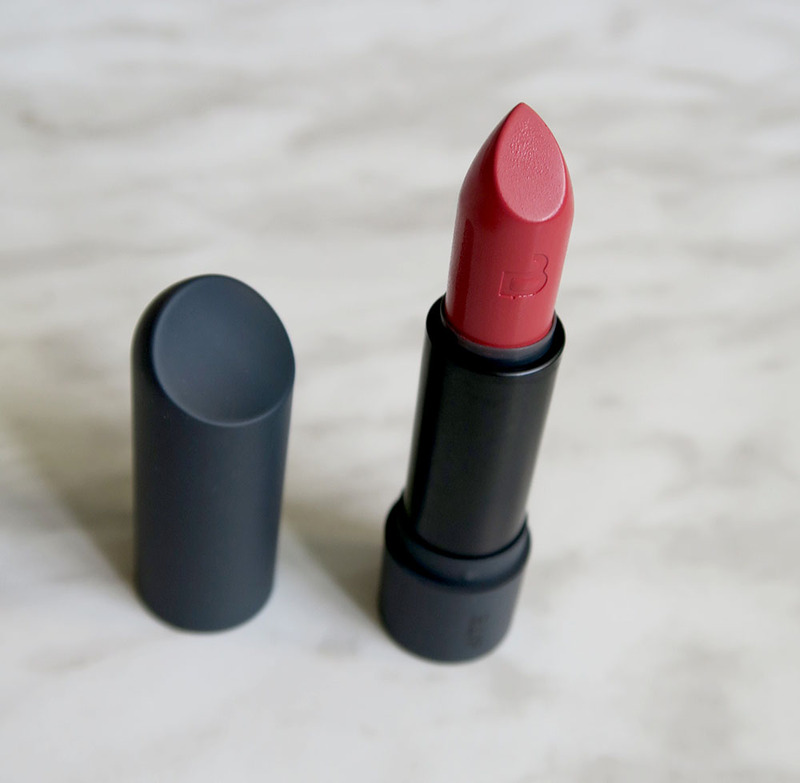 The formula of the Amuse Bouche lipsticks is really nice – it lasts for quite a long time on the lips and feels creamy and light, but not sticky. It does transfer doing the kiss test, and requires application after eating. I don’t even mind though, it’s such a wonderful formula. It has a delicious citrus scent. Compared to Sweet Cream, the shade Gingersnap is much brighter and yellow-toned. I figured it would be a nice brighter pop of colour, perfect for the spring and summer seasons! 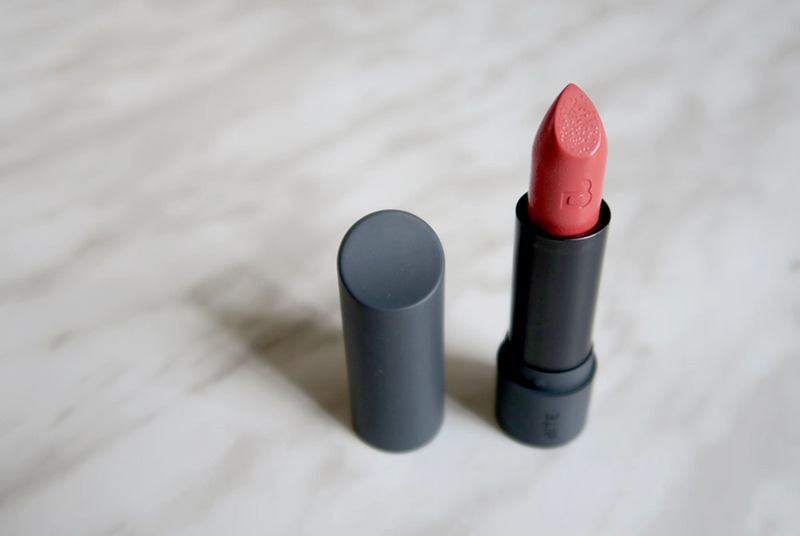 The formula stains the lips and leaves a really nice coral colour behind. How do they compare? 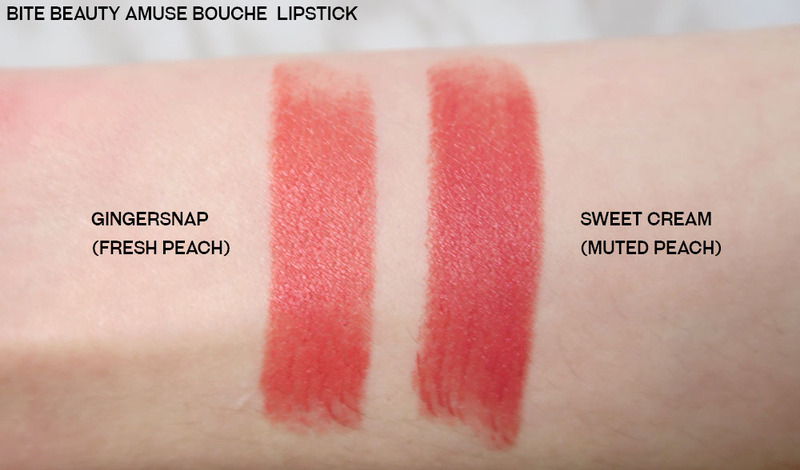 As you can see below, the two shades swatch quite similarly, but when worn, Gingersnap is much brighter. Have you tried any of the Amuse Bouch releases?